Wulian is one of our smart home brands. Our company’s full name is Nanjing IOT Sensor Technology Co.,Ltd. At present our company has issued 3 brands which are Wulian, Smart Room and Wulian Home respectively. Wulian is the largest and most popular brand of our company. 2. What’s the major business of your firm? Our company is specialized in smart home system and solution manufacture, marketing and R&D. We are the ZigBee Alliance China Regional Headquarter. Our products contain many detectors and sensors, including the field of switch, appliances control, security protection, environmental regulation as well as irrigation system. 3. Which technology do you apply to? Our products are based on ZigBee technology which is the latest technology of smart home system. Adopted mesh, tree and satellite topological structure, ZigBee technology is secure and stable enough. It enables to run as much as 65000 sensors in one gateway. So, this technology is the best smart home system solution. 4. Where is your company and how large it is? Our company headquarter is located in Nanjing, China and we now have 6 sub-branches in China such as Shanghai, Beijing, Guangzhou, Wuhan, Chongqing and Changsha. In Jan, 2014, our company has moved to the new headquarter building called U-Park situated in Jiangning District, Nanjing, where is the cluster of many wireless and high-technology corporations. At present, our company has over 200 employees and staffs with over 50% of them are bachelor degree or above. 5. What is the function and purpose of your products? Our smart home products aims to improve people’s living standard and quality bring more convenience to people as well as create a secure and comfortable home for you. 6. How many agents do you have? Currently, Wulian has more than 300 agents in Mainland China as well as more than 20 agents and distributors at overseas countries including Israel, India, Pakistan, Australian, UAE, France, Saudi Arabia, Qatar and Russia etc. 7. How much is your product? Our products are all in moderate cost as well as good quality. Most of our products are cheaper than any other smart home manufacturers. 8. Where to buy your products? You are welcome to buy our products at local agents or our Distributor You can also contact us info@homefxindia.com. We will send the product catalog and data sheet to you as soon as possible. 9. How can I know more about you? You are welcome to visit our company official website http://www.homefxindia.com and our video on Youtube by searching “Homefx Automation”. 10. Do you operate OEM business cooperation? Yes. We are capable of running OEM business cooperation with other companies. Now, many of our cooperative partners are in OEM business collaboration model. So, if you have interest to work with us in OEM, it is acceptable. This entry was posted in Home Automation system in chennai. Bookmark the permalink. Excited by the idea to control everything in your home from your smart phone, I decided to give Air a try. By the way, I am Deepesh, an excited user of Air. The day started early as I woke up suddenly not realizing the clock had hit 7! On usual days I get up at 6:30 to toast my bread and brew coffee. But this wasn’t just another day, this was in-fact an Air day. So I left my cozy bed hailing the Air for that extra half an hour of sleep and walked down to the kitchen to eat my breakfast (without having to prepare it!). Some freshly toasted toasts popped out of the toaster as I entered the kitchen, one of the best sights in the morning. As I grabbed the toasts I heard a beeping sound from the coffee machine, this actually happens! I pour some coffee and peacefully sit to take my breakfast happily after a long time. While having the breakfast, I received a notif from Air saying my geyser will be turned on as scheduled! Peace. After a refreshing shower I hurried towards my car (because its not fun until I reach my office late 😛 )and drove down the office. As I got busy working, I received a notification from Air saying that my AC had been turned off. Being too excited with the new gadget than usual at the office, I invited a few of my friends to experience the magic of my new device(and also to unveil my secret). While driving back home, I stopped by a store to get some snacks for the guests at home. It had been a hot day than usual one and I didn’t want to enter a really oven-like home so I put on AC just to enter a perfectly cooled home, of-course with a phone. As the evening grew, we started chatting about how the technology has advanced and how it has grown in the past 10 years, changing the face of Earth. Once we all saturated ourselves with tech talks, we began to enjoy the music. Finding the perfect mood, I set the ambiance of room to warm white sitting just on my couch, leaving everyone by surprise with one more feature of Air. It created a perfect atmosphere to dance and enjoy the soft music. While everyone danced, I just smiled for the wonderful day I had. After dinner as they leave overjoyed and captivated by Air, I cleared the tables and the mess. After hitting the bed,I casually switched off the lamp, set the schedule for the next day for Air and dozed off. This story was shared by Deepesh, one of our Air users. We are really grateful for his support and look forward to make more faces happy, create more moments with friends, make more homes connected. We are Team Leaf. This entry was posted in Air Leaf in Chennai, Digital Door Locks, Digital Locks Chennai, Home Automation system in chennai, Leaf Home Automation in Chennai, scene creations, security system in chennai, Smart Home Automation, wireless home automation in chennai, wulian india, wulian wireless home automation in chennai and tagged audio speakers in chennai, automated digital lock chennai, automated home security in chennai, automated multi audio chennai, automated switches in chennai, complete home automation in chennai, Digital Door Lock In chennai, home automation companies in chennai, Home Automation in chennai, home automation system dealer in chennai, Home Automaytion switches in chennai, home technology in chennai, Leaf Air Unit, Leaf Home Automation in Chennai, Lutron Home Automation, office automation in chennai, office automation service in chennai, room automation in chennai, security system in chennai, wireless automation dealers in chennai, wireless home automation, wireless home automation in chennai, Wulian Home Automation in chennai. Bookmark the permalink. If I have to define myself in one quote, it would be “To travel is to live.” I have always been an avid traveler or to say, traveling has always been my way of escaping the world and finding the real myself. I am more of an explorer than a tourist, building stories and creating memories on my way. Seeking new adventures, meeting new people and learning about their cultures are some of my fondest memories on my trip so far and that is where I realized how all of us are so alike just occupying different spaces on this Earth, making me wonder about the homogeneity of this world, the world is round! 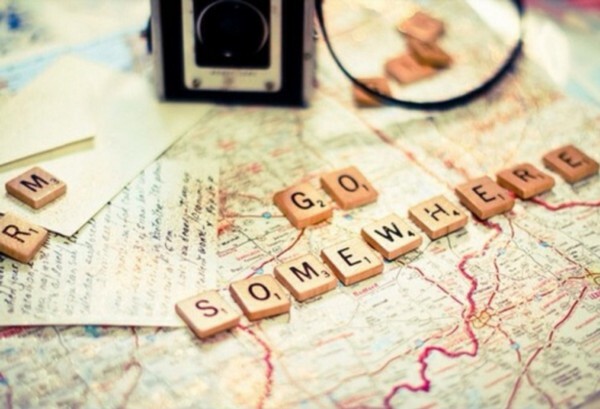 Travel is never a matter of money but courage and somewhat time. Over the last couple of years some factors have led me to restrict my wanderlust which included my tight work schedule and the thought of leaving my home with no one around made me kind of unsure because in my last trip while I was busy exploring the world, someone else was busy intruding my happy home. Too late to realize, I returned only to find all my valuables, belongings gone. Moreover the intruders tarnished my little souvenirs collected from my trips so far, making me feel robbed of my precious memories. While I can never really get over trauma of the incident, I am really thankful to my neighbors for the support they showed. But looking at my ransacked home made me realize that there is a limit to where my neighbors or my watchman or in fact CCTV can help me keep my home safe while I am gone, they are not fail safe measures but rather after fail measures! It made me wonder how is it possible to be connected to my home even while I am thousand miles away and that is when I met Air. Among the many features of Air, I particularly use its safety feature to be updated and keep my travelling alive. Since then there’s no looking back. Air has this feature called “Auto Away” which activates the security mode of my room, making Air aware of any intrusion, instantly notifying me if someone tries to breach my home. In this way I can always be connected to my home without any worry as now if any thing goes wrong, I simply ask my watchman to go have a look! No more spoilers for holding me back. As my home is mine to take care of and in any case wouldn’t want any intruder to take advantage of my absence. So thanks to Air and the Team for giving me back my peace of mind while I travel. To all my friends out there who are holding themselves back from travelling, don’t let time and routine define your life. Figure out a way to overcome all your excuses to travel this world, in my case it was my home which thanks to Air is now safe, in your case it maybe something else. This entry was posted in Digital Locks Chennai, Home Automation system in chennai, Leaf Home Automation in Chennai, security system in chennai, Smart Home Automation, wireless home automation in chennai, wulian india, wulian wireless home automation in chennai and tagged audio speakers in chennai, automated digital lock chennai, automated home security in chennai, automated multi audio chennai, automated switches in chennai, complete home automation in chennai, Digital Door Lock In chennai, home automation companies in chennai, Home Automation in chennai, home automation system dealer in chennai, Home Automaytion switches in chennai, home technology in chennai, Leaf Air Unit, Leaf Home Automation in Chennai, Lutron Home Automation, office automation in chennai, office automation service in chennai, room automation in chennai, security system in chennai, wireless automation dealers in chennai, wireless home automation, wireless home automation in chennai, Wulian Home Automation in chennai. Bookmark the permalink. International research firm Parks Associates,will provide an update on the connected home market and analyze the key trends and upcoming announcements ahead of 2016 International CES . Parks Associates estimates that in 2017, more than 11 million U.S. broadband households will have some type of smart home controller, up from two million in 2013..So we are seeing in the marketplace, including the Control 4,LUTRON ,CRESTRON, AMX, and other power company like Wulian etc, that will be a hot war in home automation area. So which company will win and lead the 2014 trend? As we know, AMX is a famous brand and has a long history in the home automation area, but its technology is wire, and wireless is the trend, so it must be out. LUTRON and CRESTRON , Control 4 , yes, you can say, now in the market , maybe many people know them and think their products are good, in fact, for these three companies, not all the products are wireless, part of them are wire. It means, you can not DIY by yourself completely , you must pay the installing fees. So can you find one company which can supply the whole set of home automation products and DIY installing completely? Yes, look for in China, there is one company wulian , you will find they can meet any your inquire for home automation products , what’s more, you can get the high cost performance! This entry was posted in Digital Door Locks, Digital Locks Chennai, Home Automation system in chennai, Leaf Home Automation in Chennai, security system in chennai, Smart Home Automation, wireless home automation in chennai, wulian india, wulian wireless home automation in chennai and tagged audio speakers in chennai, automated digital lock chennai, automated home security in chennai, automated multi audio chennai, automated switches in chennai, AUTOMATIC DOOR LOCKSBBQ WITH SMART HOMEFIBAROFIBARO APPFIBARO INTERCOMINTERCOMMOTION SENSOROUTDOOT HOME AUTOMATIONSMART HOME, complete home automation in chennai, Digital Door Lock In chennai, home automation companies in chennai, Home Automation in chennai, home automation system dealer in chennai, Home Automaytion switches in chennai, home technology in chennai, Leaf Air Unit, Leaf Home Automation in Chennai, Lutron Home Automation, office automation in chennai, office automation service in chennai, room automation in chennai, security system in chennai, wireless automation dealers in chennai, wireless home automation, wireless home automation in chennai, Wulian Home Automation in chennai. Bookmark the permalink. 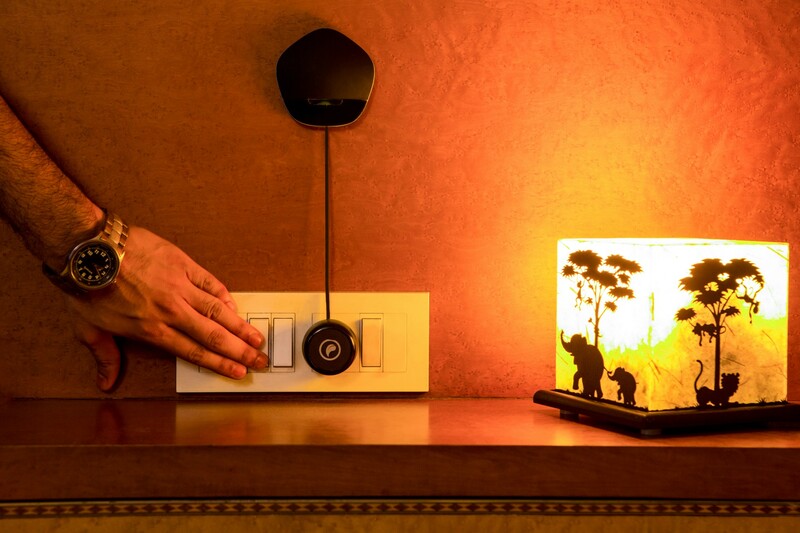 Disruptive IoT Product AIR From IIT B Will Compete With Google’s NEST, Samsung’s SmartThings ! We all knew that such a product would be made someday. We all also did hear about Googles of the world working on creating such a product. But in what can be seen as a perfect portrayal of picture of new India – the big innovation is happening here in Mumbai. The product – Air, owned by Leaf Technologies, is an IOT Smart Home solution created by IIT Bombay graduates and is all poised to give Google and Samsung a tough competition. Through their platform, the company intents to help their customers save time, energy and improve the security of their homes. To tell you the least, the product lets you control all your home appliances from your mobile phone. And the founders claim that to be only 25% of the functionality of what the product can actually do. The Air product will also learn from your actions and preferences to execute things on your behalf, let you control your appliances from anywhere (inside or outside your house) and even schedule them beforehand, keep your house safe by giving you a notification when someone is trying to open your house (using motion detection technology), lets you save on your energy bills by switching off your devices when you are not at home and also makes you a judicious and informed energy consumer by giving you insights and reports on your electricity usage. Air competes with Google’s Nest and Samsung’s SmartThings. In 2014, Google acquired Nest Labs for $3.2 billion. Nest is primarily a Thermostat platform that allows you to remotely control the temperature inside your home and has a self learning algorithm that eventually learns your temperature patterns and self adjusts itself. The company is said to be working on adding a number of functionalities to its product which could make the product provide functionalities similar to that of AIR. Below is the video showcasing the Google Nest Platform. At several conferences and on various media sites where smart home devices have been discussed, privacy is one of the main concerns that has been brought up. Installing an intelligent device inside the house will mean giving out information about your behavioral patterns to a company. To these privacy concerns Air team responds by saying all the data will be stored locally on 8GB SD card which is installed in the Air itself and even that is encrypted with 256 AES technology. The data will be stored with the same level of encryption and security that bank and financial data is being stored and users therefore do not need to be concerned about data security. Vaibhav Tolia is the CEO and is one of the co founders of Leaf Technologies. Vaibhav previously has also been one of the cofounders of Housing.com. The other co-founders are Ashish Talewar, Srijan Dhare, Tarun Sahu and Avilash Kumar. The founders were thinking of creating a disruptive product and felt that not much innovation has happened in the smart homes segment. They then decided to come up with this home automation product and Leaf Technologies was born in 2014. The first batch of the product is already sold out and the company currently has a wait list open for the next batch. The product will be priced at Rs. 24, 600. The company is currently scaling very fast and has established a full fledged tech and logistical presence in 10 cities in India already . They will look at selling the product in many more cities and on a global scale now. This entry was posted in Home Automation system in chennai, Leaf Home Automation in Chennai, security system in chennai, Smart Home Automation, wireless home automation in chennai, wulian india, wulian wireless home automation in chennai and tagged automated digital lock chennai, home automation companies in chennai, home automation system dealer in chennai, Leaf Air Unit, Leaf Home Automation in Chennai, wireless automation dealers in chennai, Wulian Home Automation in chennai. Bookmark the permalink.